Merry Christmas, Joyeux Noël, Feliz Navidad and Happy Holidays1 I Hope you all had the best Christmas day, full of far too much food (and alcohol), lots of lovely presents, and happy times with your loved ones. 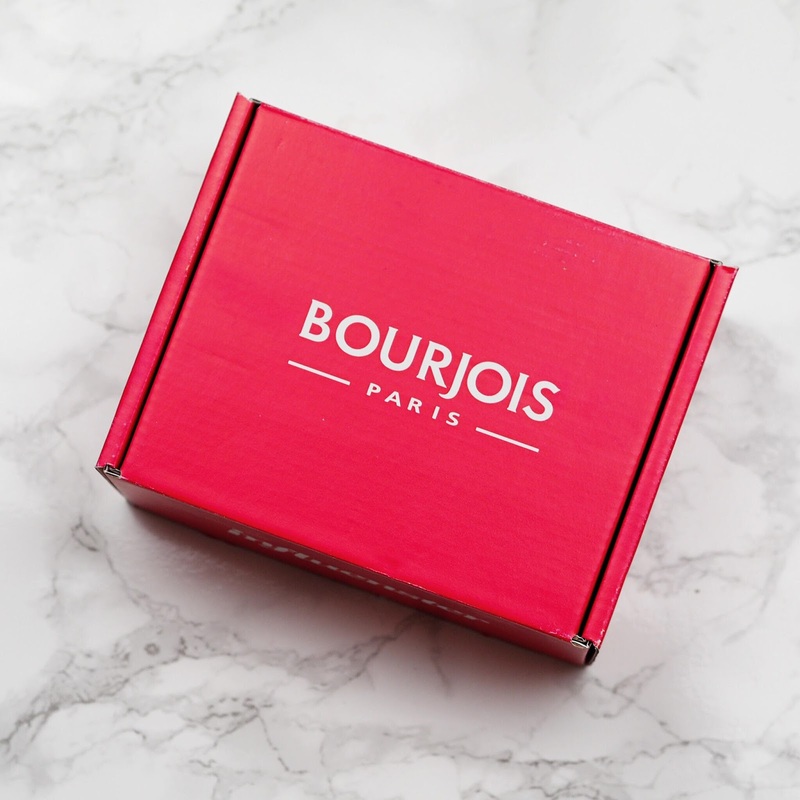 Since I'm still feeling pretty festive, I thought I'd show you one of the Christmas releases from Bourjois, that I was very kindly sent from Influenster earlier this month. So this is actually my first Influenster box, I've not long been signed up on the app so it was all very exciting when this bright fuschia parcel landed on my doorstep. 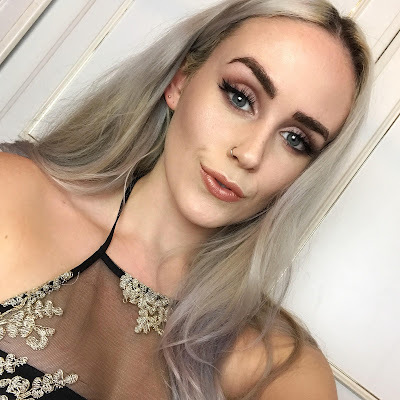 Obviously we're not required to review the products we receive on blogs or social media, but I've actually been loving the products and wanted to share my first impressions with you all! 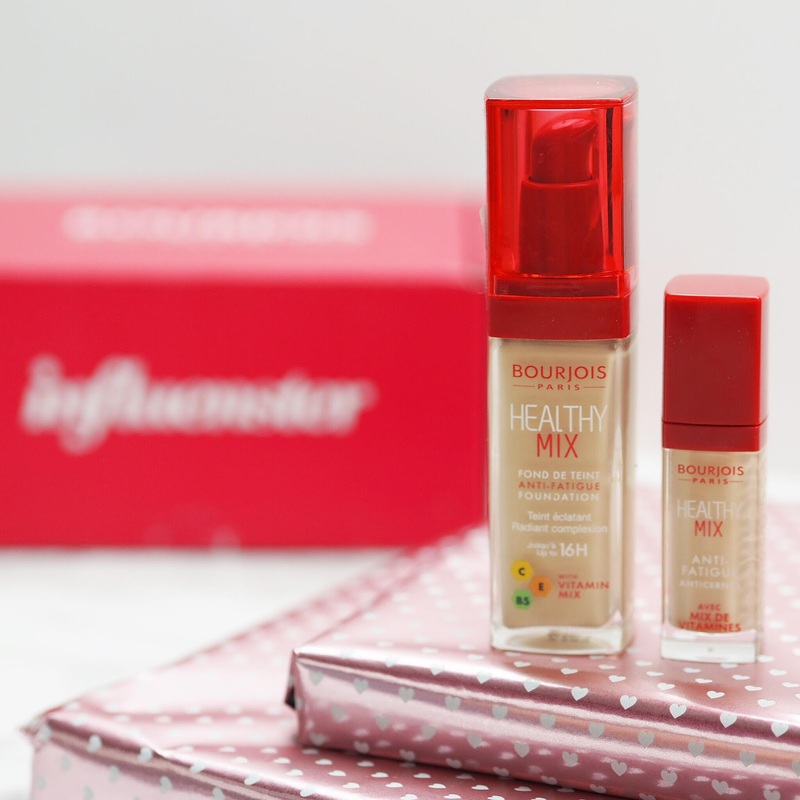 When Bourjois re-formulated and relaunched the Healthy Mix foundation at the start of the year, I pretty much did a hop, skip and a jump into my nearest Boots to pick it up! I wasn't at all disappointed in it, and it quickly became one of my favourite drugstore foundations. As I've only been on short breaks this year (not complaining I swear - I've definitely done my fair share of holidaying!) my skin has got slightly paler so the shade I had was too dark for me. Luckily the Influenster team sent me the perfect shade for my skin right now, which is 51 Light Vanilla so I've been rocking that naturally dewy look this past couple of weeks. I've probably had the most compliments on my skin whilst wearing the Healthy Mix foundation and concealer too! 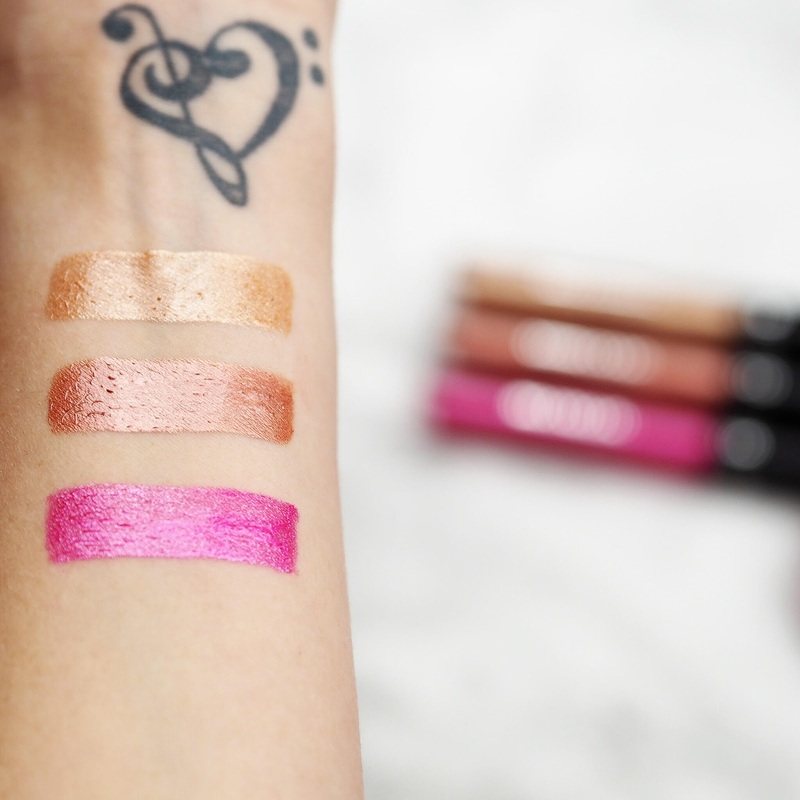 Now lets talk about the main event - these stunning Metallic Lip Creams. For so long I've been waiting for a high street/drugstore brand to come out with something like this, because my poor, poor lips cannot stand liquid lipsticks at this time of year (cause they're so flipping drying!). The only similar products on the market are the Jouer Lip Toppers and the two bronze shades I have here are almost dupes for Tan Lines & Rose Gold, and half the price! Trying to get the perfect swatch photo can be a huge pain in one's derrière for many reasons; it's a nightmare getting the swatches to look uniform, or some of the colours are less pigmented than others, the colours bleed after sitting on the skin - the list goes on. These swatches were so easy because the doefoot applicator was really precise, the consistency of all three colours were so creamy and amazingly pigmented in one swipe, AND they didn't set in place too quickly when I did make a little booboo! The same applies to when I tried the products on my lips, they didn't settle into my fine lines and were just so ridiculously easy to apply. 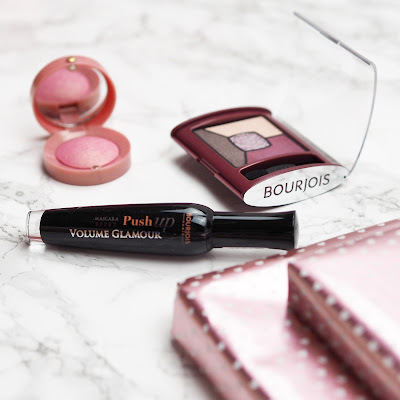 I actually used all of my Bourjois Makeup for my Christmas day face, and really loved how it all looked. I popped a little of the violet shade from the eyeshadow palette under my eyes and used the iridescent purple glitter for my inner corners. The mascara was nice enough and didn't clump on me at all - something I usually do have a problem with - but I ended up throwing some falsies from Killin it Cosmetics, just for some extra drama. (Cause if you can't go OTT at Christmas, when can you?!) I couldn't decide which lip shade I preferred out of the Metallic Lip Creams so I ended up mixing a little of 300 and 100!